Ever breakdown in the middle of vacation, or have a tire go flat from roadside debris? Kia Certified Pre-Owned vehicles come with numerous quality benefits not found with a typical used car purchase. Upon purchasing a Kia Certified Pre-Owned vehicle, you will receive a welcome package detailing the additional coverage provided, including Roadside Assistance and Towing / Rental / Travel Breakdown coverage. Kia Certified Pre-Owned benefits are available on a variety of Kia models. 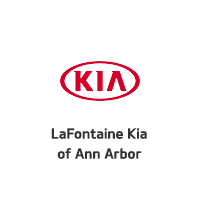 Make sure the Kia Certified logo appears on your next used vehicle. Kia Certified Pre-Owned vehicles provide you with peace of mind and assurance that you have purchased a quality used vehicle. By purchasing a Kia Certified Pre-Owned vehicle, you can be assured​ that you are investing in a quality product, which comes with a​ Pre-Owned Limited Powertrain Warranty. Cross Country Motor Club Membership for Roadside Assistance. may apply. See your Limited Pre-Owned Warranty for details. Services provided through Cross Country Motor Club, Inc. Boston, MA 02155, except in Alaska, California, Hawaii, Oregon, Wisconsin and Wyoming, where services are provided through Cross Country Motor Club of California, Inc., Boston, MA 02155. © 2012 Kia Motors America.